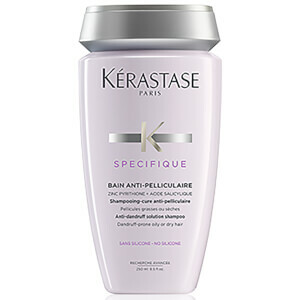 Treat oily roots and dry ends with the Specifique Bain Divalent Shampoo from Kérastase. 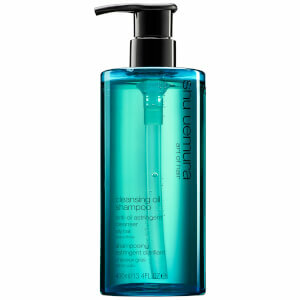 Intensely purifying, the formula works to remove excess sebum whilst cleansing the scalp and is an ideal solution for greasy hair with damaged, frizzy lengths. Enriched with Glycine® and Vitamin B6, it works to rebalance moisture from the root and repair dehydrated and damaged fibres, leaving hair feeling lightweight and softened. 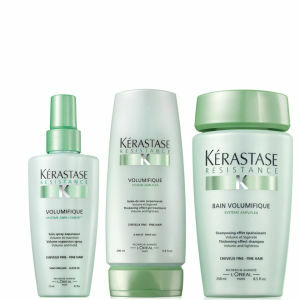 Free from silicon, you can expect shiny and revitalised locks. 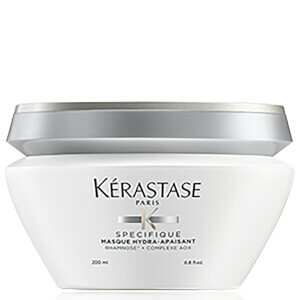 Aqua / Water - Sodium Laureth Sulfate - Tea-Lauryl Sulfate - Cocamide Mipa - Disodium Cocoamphodiacetate - Glycol Distearate - Hexylene Glycol - Sodium Chloride - Sodium Benzoate - Capryloyl Glycine - Sodium Methylparaben - Polyquaternium-11 - Salicylic Acid - Carbomer - Ethylparaben - Pyridoxine Hcl - Menthoxypropanediol - Guar Hydroxypropyltrimonium Chloride - Hexyl Cinnamal - Butylphenyl Methylpropional - Linalool - Methylparaben - Citronellol - Benzyl Alcohol - Fumaric Acid - Sodium Hydroxide - Citric Acid - Parfum / Fragrance.